If you had told me a few months ago that my new home away from home would be a cute’n’sleepy cafe located near Phrom Pong BTS and staffed almost entirely by lady boys, I would probably have believed you. I mean, I needed something to fill the void left by Samitivej Hospital – now that Zoe is four months old, even my friend the cardiologist couldn’t manufacture a reason for me to visit on a weekly basis any more. Plus, it turns out that my caffeine needs have increased significantly since giving birth, AND the cafe hosts my favourite estrogen-scented group. So really, there was no chance that I wouldn’t end up at Antique Cafe. One of the “top heavy” groups that meets at the Antique Cafe is a club called “The Breastfeeding Cafe.” You cannot accuse them of false advertising: it really is a heaping pile of mewling, suckling infants, and their female herders parents. Every Tuesday morning, the (Breastfeeding) Cafe meets at the (Antique) Cafe, which graciously allows us to cover every square inch of the space with baby paraphernalia. Before I joined the group, I was nervous that I wouldn’t be allowed to enjoy a coffee before I pledged to publicly expose myself at every opportunity, but fortunately, the group’s founders are more relaxed than that. Basically, it is just a group of haggard, haggard women drinking coffee and quizzing each other about how much they slept last night. Sleep is a drug to this group: “Where did you get yours? Oh yeah? What did it cost? Where can I get some? What?! You grow your own?!? !” If you haven’t spawned, this probably sounds hideous, but to new mothers, it is the Balm of Gilead. My friends Kelley and Rina getting (em)Balm(ed). Poorly photographed heap of breastfeeders. My friend Laura is the group’s current lactation consultant, and she is a great person to talk to if you are a) a breastfeeding mother with questions, or b) a dairy farmer looking to increase your cows’ milk yield. 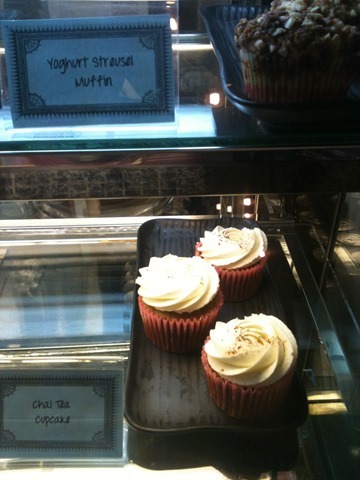 The cafe also serves awesome cupcakes. After visiting the cafe 5 or 6 times, it hit me that maybe I didn’t need to order a cupcake every single time I was there. But I quickly banished that thought from my mind as soon as I saw my favourite chai tea cupcake in the display case, and fortunately, it hasn’t resurfaced since. The cafe gets its beans from Yindee Coffee – a Rayong-based ministry that buys directly from Thai coffee farmers. 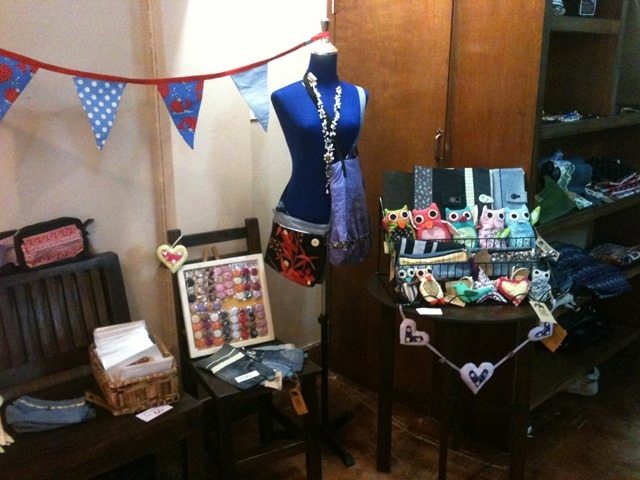 It also supports a variety of other good causes and ministries. Like Second Chance Bangkok, the organization that produced these adorable items. If you have bags under your eyes and estrogen in your veins, you should definitely come check out the Antique Cafe on Tuesday mornings, and enjoy the feeding frenzy. If you have the bags but not the estrogen, you should visit the Cafe any time other than Tuesday morning. No, wait! I should be attempting to normalize public nursing! COME ONE, COME ALL!!!!! 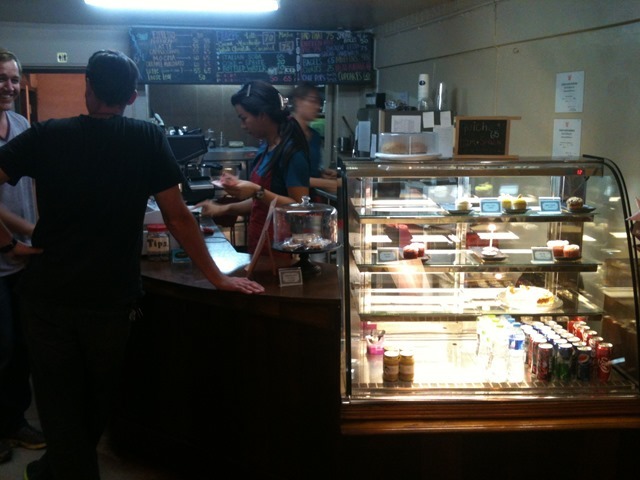 But seriously, if you enjoy a great coffee at half the price of what Starbucks charges, check out the Antique Cafe. 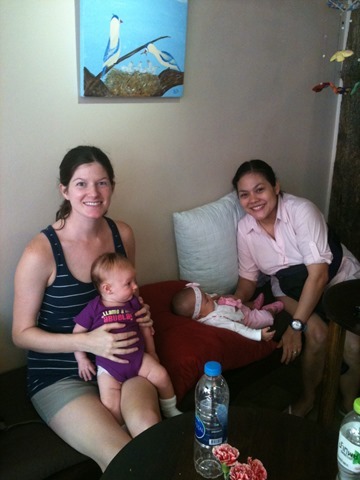 It is open Monday-Friday from 8:30am – 5:30pm, and it’s a great place to hang out even if you’re not lactating. 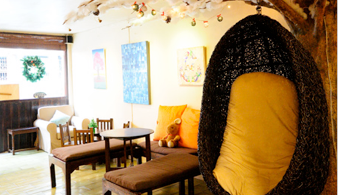 It is located on the first subsoi off Sukhumvit Soi 31. Although there are days when I miss being poked and prodded at the hospital, or receiving a good EKG, I am quite happy to have a new hangout. 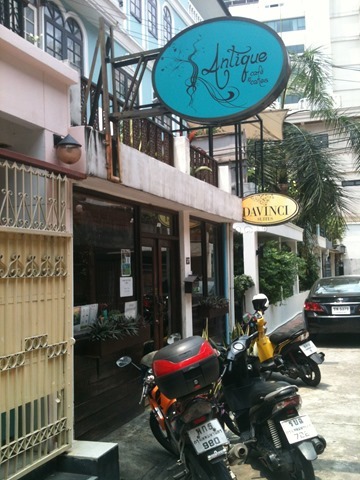 When lactators refuel with fair trade coffee’n’calories served by elegant lady boys, there are no losers. 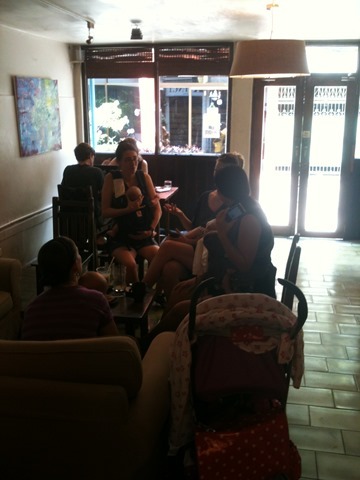 This entry was posted in Foodie Fridays, Parentdom and tagged Antique Cafe Bangkok, Breastfeeding Cafe Bangkok, chai tea cupcakes, cupcakes, EKG, lactation, lady boys, Phrom Pong BTS, Samitivej Hospital, Sukhumvit Soi 31, Yindee Coffee by Ruth. Bookmark the permalink. I don’t even want to contemplate that. There are already a few toddlers who attend, and the cafe can barely contain their energy. And I think most Bangkok expat moms with more than one child have a nanny. 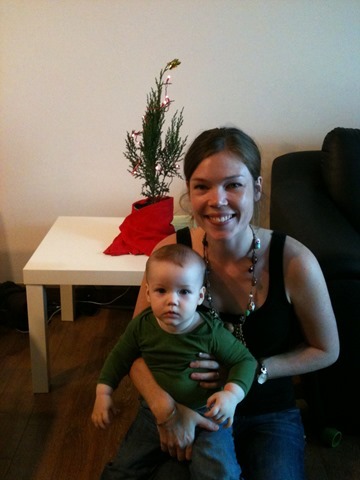 Just accidentally found your blog while searching for ergo baby in Bkk. Want to thank you, you made my day! Amazing and Delicious photos.I like this thanks for sharing. Great post and some nice and alive photos! Thanks for your sharing!